Branding for a High End Custom Furniture Company. 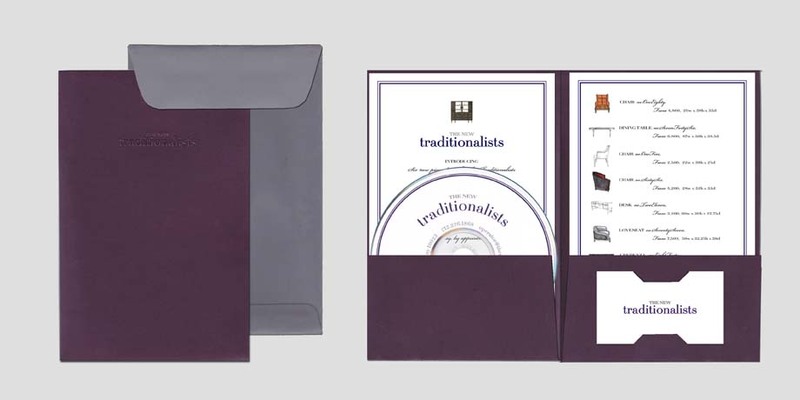 The New Traditionalists connects traditional and today in their hand made environmentally conscious furniture. Based in New York City, and manufactured in New England, they are influenced by classic silhouettes, history, objects, and heritage. 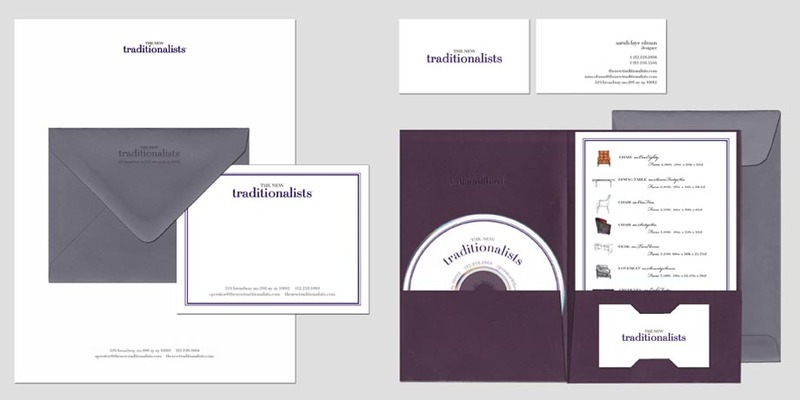 Our task was to create marketing collateral that would match the brand and standout at corporate events and trade shows within the furniture industry. 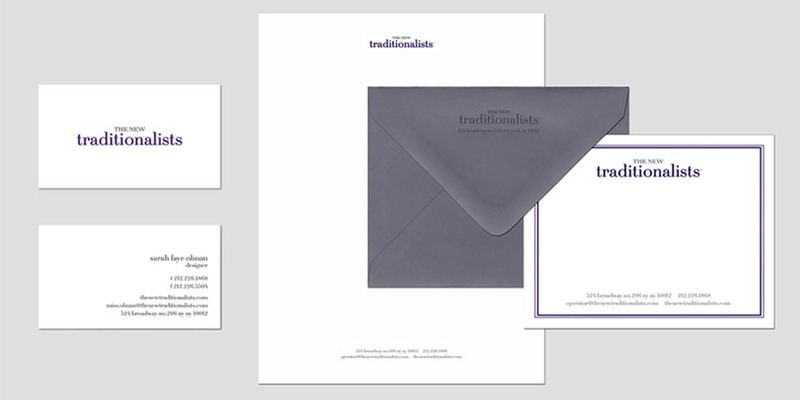 Having helped the New Traditionalists create their brand and brand guidelines we had a leg up in helping them create their marketing collateral. We got to know how they did business. We also got to know how they appreciated a stiff drink after a long day. 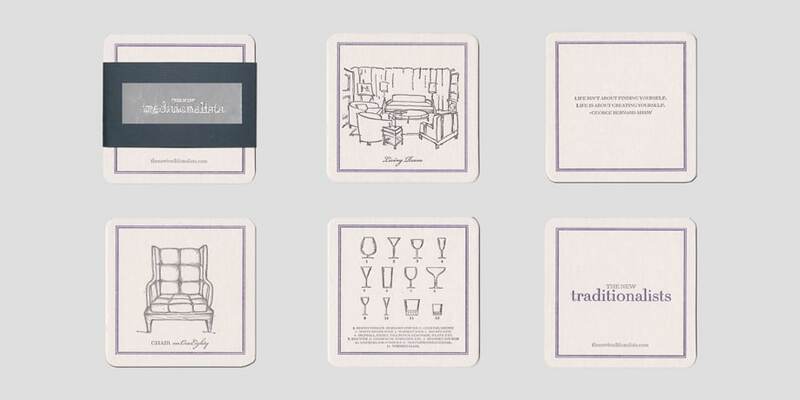 What better way to mix furniture and cocktails then memorable and tasteful coaster sets? 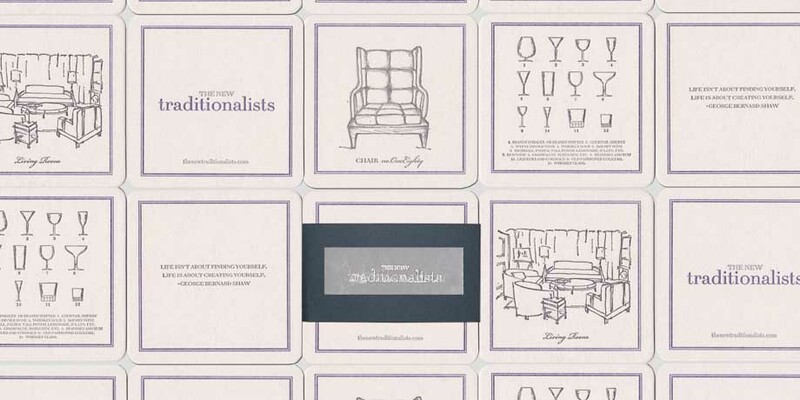 Our design helps educate the customer not only on classic furniture but also classic cocktails and the glassware they belong in. We found local letterpress craftsmen and paper manufacturing to stay close to the brands promise of keeping manufacturing local. 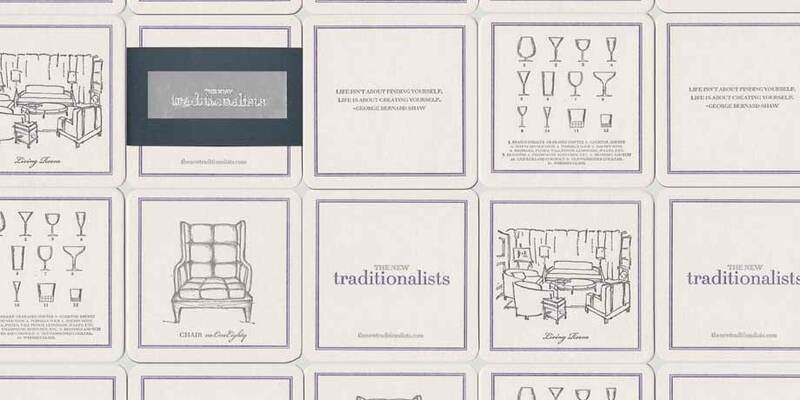 The coaster sets were a big hit and continue to grace their NYC show room.